The problem with legal expenses insurance is – it often does not pay up! That's because the insurer is looking after themselves – not you. Unless your existing legal expenses cover allows you to use your own solicitor, it is probably not worth the paper it is written on. We have pioneered affordable employment services in partnership with local professional law firms and dovetailed insurance with claims integrity built-in. It means you have your own solicitor deciding how to run claims, so they are on your side all of the time. Our unique TLC service for businesses is designed for SMEs and provides a daily 'in-house' legal service backed by the widest legal expenses insurance. It means that almost all of the large unexpected legal bills that could otherwise derail a company's finances are either pre-paid or insured. Unlike other schemes your TLC lawyer is retained by you – they are on your company's side- not the insurer's – meaning that you can be sure of impartial advice and a fair approach to claims at all times . 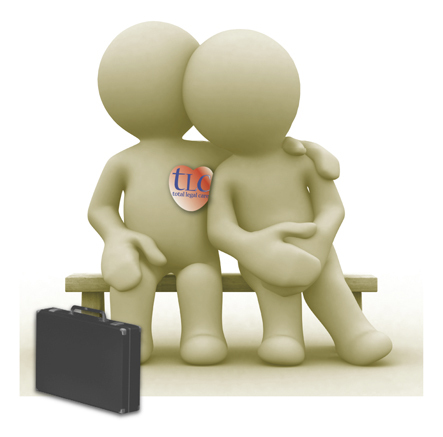 TLC creates an in-house legal department for a fraction of the normal cost of employing a solicitor and gives you a form of balance sheet contraception - from unexpected legal fees and claims - allowing small companies to take the inevitable cost of lawyers OFF of the balance sheet in an affordable, budgeted and tax deductible way. TLC will help a business pursue as well as defend actions and meets many large costs (such as an award of damages for Discrimination) that are simply not covered by most trade associations or business combined policies.